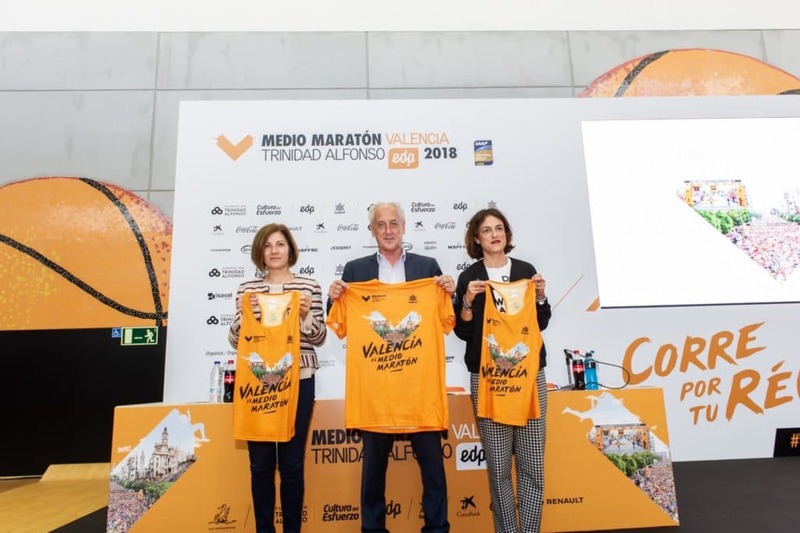 The Valencia-Trinidad Alfonso EDP Half-Marathon this Sunday, the 28th of October is the latest edition of the race. After the Women’s World Record set by Joyciline Jepkosgei last year, the 2018 race has already set its first record with 15,500 runners entered — a figure over 1,200 more than in 2017. 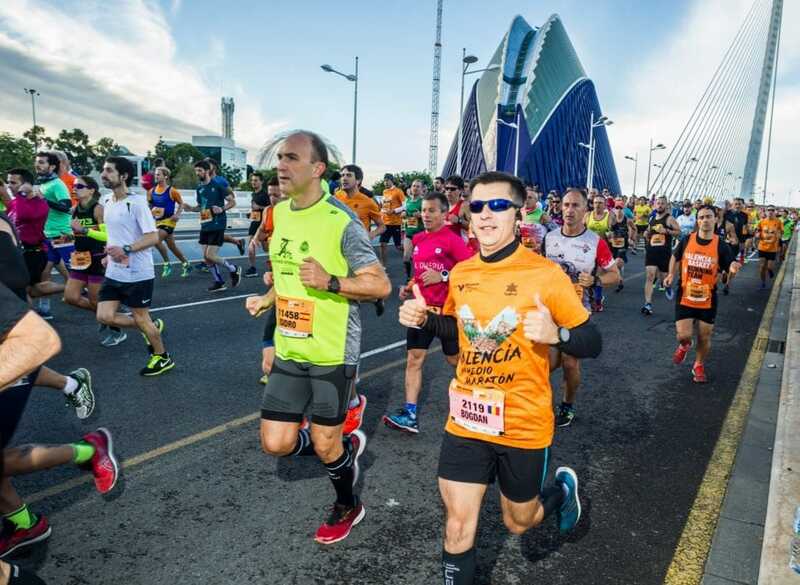 The first records have already fallen in 2018, thanks to growth in the number of runners from outside the Valencia Region (a rise from 22% in 2017 to 25% this year) and in foreign runners (a rise from 14% to 18%). The number of women running the race has also risen — to 3,716 (an increase of 24%). 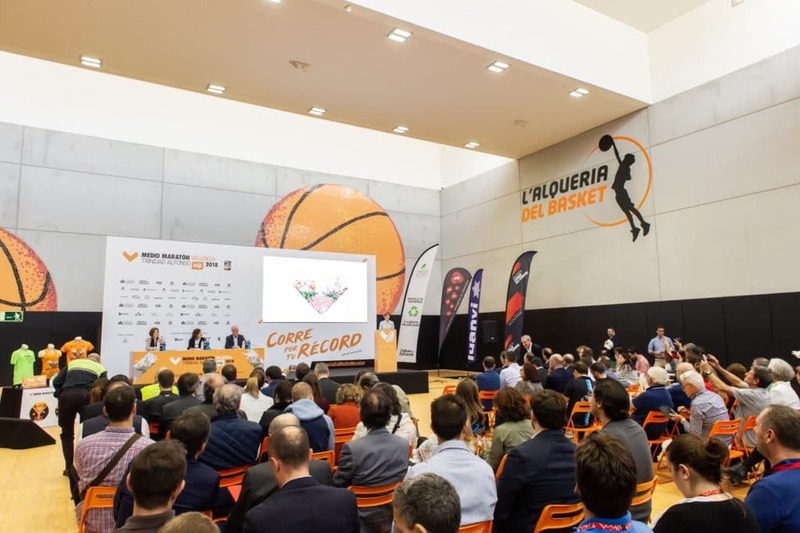 The slogan for this edition, Run for your Record, was the leitmotiv of the Presentation held in the L’Alqueria del Basket (basketball complex), together with the Start and Finish for the new circuit, which is inspired by the route taken by the recent World Half-Marathon Championship Valencia 2018, held in March. The new circuit holds out the prospect of new records being set by both fun-runners and top athletes. It is no coincidence that the circuit has been designed with just 13 curves over the 21,097.5-metre course. The Presentation also mentioned the “Cheering All The Way” campaign in which for the very first time runners will have a map showing the various points at which bystanders cheer on the runners, and those points chosen by a runner’s friends and family. Entries for these ‘cheer points’ can be made through the official web site for the trial. 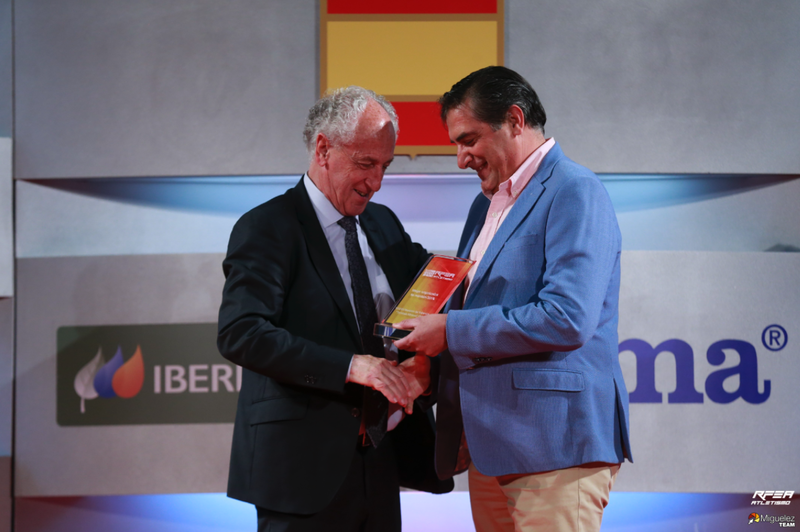 Paco Borao, President of SD Correcaminos (running club), said that “We are going to have a great race with some great times”, recalling that “The record number of entries is the reward for all the effort and planning that has gone into the event”. Elena Tejedor, Director of Fundación Trinidad Alfonso (foundation), noted that “The success of the event is largely thanks to the runners”. She added that “The race would not exist without them”. Tejedor also said that “We will not raise the entry prices but we will do our utmost to make sure that runners make their entries earlier”. José Puentes, Director of Operations and Institutional Relations, Valencia Basketball Club, which hosted this Presentation in L’Alqueria del Basket (basketball complex), said that the Valencia Half-Marathon is “A shining example of how Valencia tackles sport” and praised “the organisers’“ skill and creativity in turning Valencia’s Marathon and Half-Marathon into top international trials”.